Content should be at the center of your marketing efforts. That’s not earth-shattering, but an all too obvious fact in our buyer-centric world. 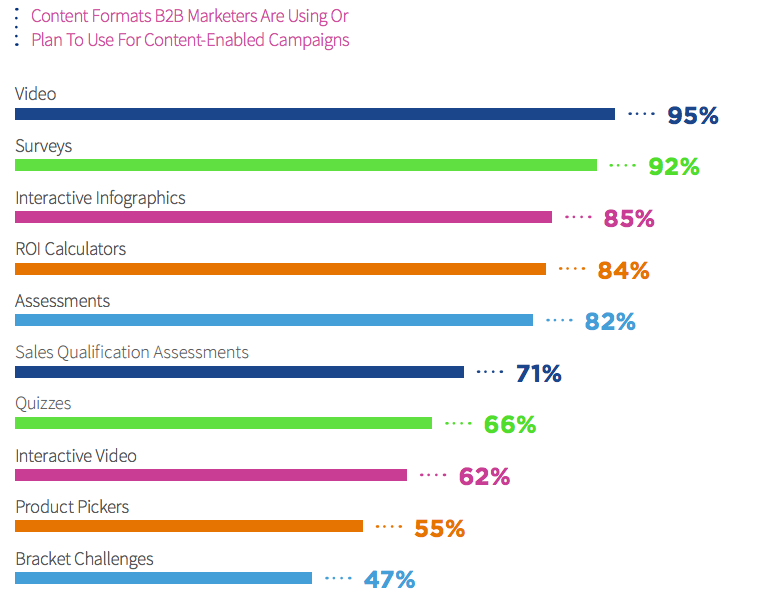 A recent survey from Demand Gen Report and SnapApp found that the majority of B2B marketers are already using or are planning to use content as a central component of their campaign strategy. We can talk the talk but, as it turns out, have trouble actually delivering on what we promise. We’re doing a whole lot of speaking in platitudes like “content is king,” but there doesn’t seem to be a whole lot of “doing” actually happening. A small number—just 18 percent—of B2B marketers say they are “extremely confident” in the effectiveness of their campaigns. So what gives? Why don’t we seem to have faith in what we’re putting out to the market? Is Content a King in Name Only? When I think about great kings and monarchies, my mind goes to Great Britain. While Queen Elizabeth has the title that makes her the sovereign head of state, her powers are not absolute. Things only happen if she works with Parliament, who have the power to pass legislation that drives change. Whenever I hear “content is king,” I wonder if there are some similarities. Is content our king in name only? What real power does it have in isolation? Is calling content our king enough to effect real change and make a difference to our marketing program, or is content just one piece of the puzzle? The reality is that it’s not just creating content alone that matters. What we create needs to be engaging and valuable, and it also needs to be amplified as part of content-enabled campaigns. While we have the best intentions and want to make content the center of our efforts, there are some constraints holding us back. Almost half (40 percent) of marketers say they feel they simply don’t have the resources to create enough content. And even when they do invest, they are struggling with correlating the results of the increased investments in content with stronger conversion rates from their campaigns. So what’s happening? We’re spending tons of energy optimizing the subject lines of our emails to the nth degree, but not doing the same for the content that goes into those campaigns. We create “good enough” content that’s a minimal viable product for our needs—campaign filler that’s all about us. What type of content are you most responsive to: the latest Buzzfeed personality quiz your friend posted on Facebook or a 20-page PDF ebook on a new marketing technology? It’s no contest. The quiz is fun, interactive, and easy to complete. Meanwhile, the whitepaper might be downloaded but will likely sit on your desktop for days, before meeting an untimely end via your trash can. Sure, there’s an obvious difference in substance between the two, but the actual format is the focus here. Advanced marketers are taking a page from the Buzzfeeds of the world and differentiating their campaigns with more engaging, interactive content that creates a dialogue with their prospects. This can be any type of content that requires active engagement from a participant (i.e., more than passively reading an article or watching a video). Some examples include ROI calculators that show how much money a company could save by changing a process, or an assessment that helps identify how efficient a company is at a specific process. Interactive is catching on, with 62 percent of marketers already using this type of content today. And that’s slated to skyrocket in the next 12 to 24 months, with a whopping 88 percent of B2B marketers predicting 10 percent or more of their content will be interactive. When marketers produce valuable, engaging content, they can then use it to create truly content-enabled campaigns. These types of campaigns provide value through information, versus veiled attempts at pitching a product or service. Combining content designed to inform with approaches that engage results in a conversation that resonates, rather than just yelling your message at potential customers. This often means getting out of our comfort zone—the beloved lead-gated PDF—and considering shorter, more interesting formats. The bonus is that by investing in these shorter-form assets, you end up with a digital arsenal of content you can seed across your funnel, so you hit buyers with the right message at the right time in the right format—marketing nirvana. Guess what? It works. Companies who invested in content-enabled campaigns see big spikes in conversion rates. More than half (54 percent) of those surveyed saw open rate improvements of at least 20 percent, while 66 percent saw at least a five percent increase in click-through rates. Not a single marketer saw a decline in open rates or click-through rates for these campaigns. Assessments are used to deliver customized results based on how a user answers a series of questions. Common examples include benchmarking tests, product fit/readiness, and persona tests. Calculators take inputs from a user and combine them based on a set formula to generate numerical results. Common examples include ROI calculators, cost calculators, revenue generation calculators, and time savings calculators. Interactive white papers allow you to take the thought leadership and concepts from your white papers and combine them with interactivity. Typically, interactive white papers are a condensed version of the full white paper and are paired with an assessment, survey, calculator, or knowledge test. Interactive infographics combine the power of communicating information visually with the engagement of interactivity. An interactive infographic allows the user to answer questions that relate to content in the infographic while they are processing the content. Interactive video transforms a traditional viewing experience from a monologue into a dialogue. An interactive video incorporates a wide variety of interactive elements directly into the video itself, including hot spots, questions, calculations, lead generation, and more. Marketing teams that incorporate these types of content into their campaigns are seeing better responses and higher conversion rates, not just at the top of the funnel, but also around accelerating the sales cycle and closing deals. The shift to content-enabled campaigns and away from lead-gated PDFs means better results for marketing and sales. 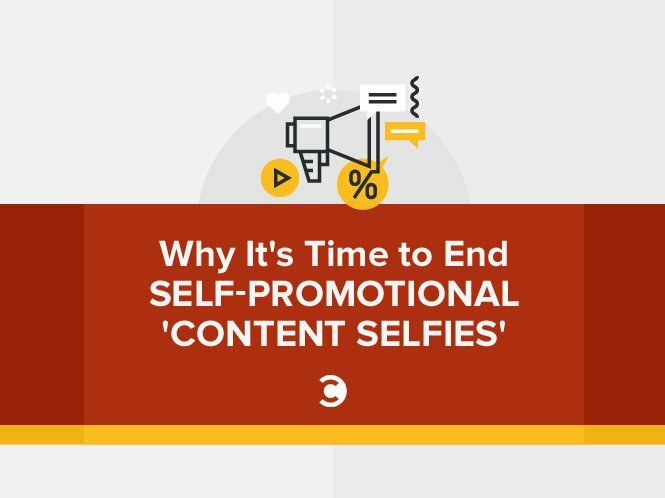 It’s time to drop the “content selfie” and get real about what you offer your prospects. 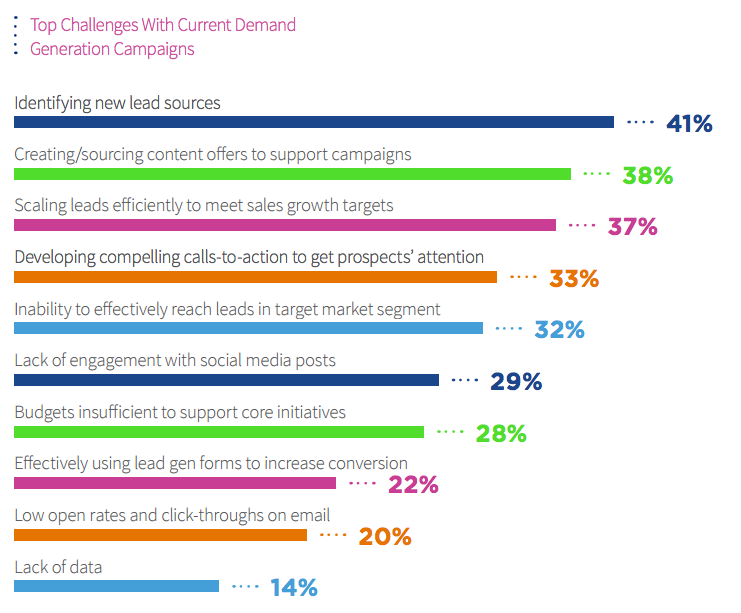 Read more about content-enabled campaigns in the recent survey from Demand Gen Report. Melissa is director of content strategy for SnapApp, spending her days helping other marketers create more engaging content. When she is not arguing of the pros and cons of the Oxford comma, she spends her time as an aspiring snowboarder, semi-professional trivia player, and occasional runner.